The company is on track to bring five new all-electric models to market in the coming years. 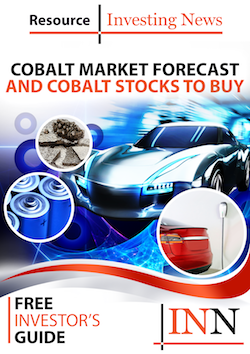 Cobalt bulls received good news on Monday (July 31) when German luxury carmaker Audi (FWB:NSU) outlined its plans to shift to electric cars by the end of the decade. The company, which is Volkswagen’s (FWB:VOWG) main profit driver, is on track to bring five new all-electric models to market in the coming years. To fund this transition, it will cut 10 billion euros from research and development costs by 2022, sources told Reuters. Audi is seeking to move on after 2015’s emissions scandal. It has been grappling with car recalls, prosecutor investigations and persistent criticism from unions and managers. Other carmakers, including Volvo (STO:VOLV) and BMW (ETR:BMW), have also said they plan to electrify most of their car models by the end of the decade. What’s more, France and the UK have outlined policies to turn to electric cars and stop all sales of fossil fuel cars by 2040. According to Bloomberg Energy New Finance, electric vehicles are on track to accelerate to 54 percent of new car sales by 2040; analysts at UBS (NYSE:UBS) expect global electric vehicle sales in 2021 to reach 3.1 million units and 14.2 million units by 2025. As electric cars numbers increase, the need for lithium-ion batteries will also soar. In fact, Transparency Market Research estimates that the global lithium-ion battery market sat at $30 billion in 2015, and will rise to more than $75 billion by 2024. The need for key battery metals such as cobalt is also expected to jump. Analysts forecast that cobalt demand will soar from 46,000 tonnes in 2016 to 76,000 tonnes by 2020. Moreover, CRU Group analysts predict that in 2017 the deficit in the market could triple compared to last year. In terms of prices, most analysts and market participants continue to be optimistic for 2017. In a recent interview with the Investing News Network, Louis James, editor of the International Speculator at Casey Research, explains why he’s turned bullish on cobalt. Click here to listen to the full interview. Similarly, Rick Rule, president and CEO of Sprott US Holdings, said he thinks the next commodity that is coming up is cobalt. “We are investing in Congolese cobalt, we are investing Russian cobalt, we are investing in early stage exploration for cobalt in lateritic terrains, both in Australia and Brazil,” he said. Click here to listen to the full interview.